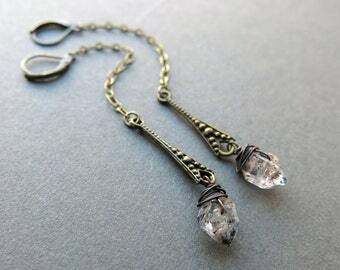 Make these alluring raw crystal earrings your new wardrobe staple! 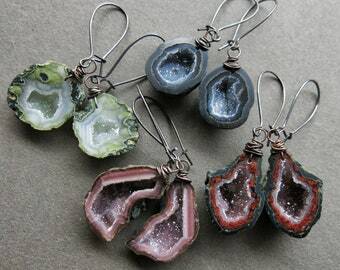 Simultaneously modern and earthy, these versatile beauties will look dazzling with anything in your closet! 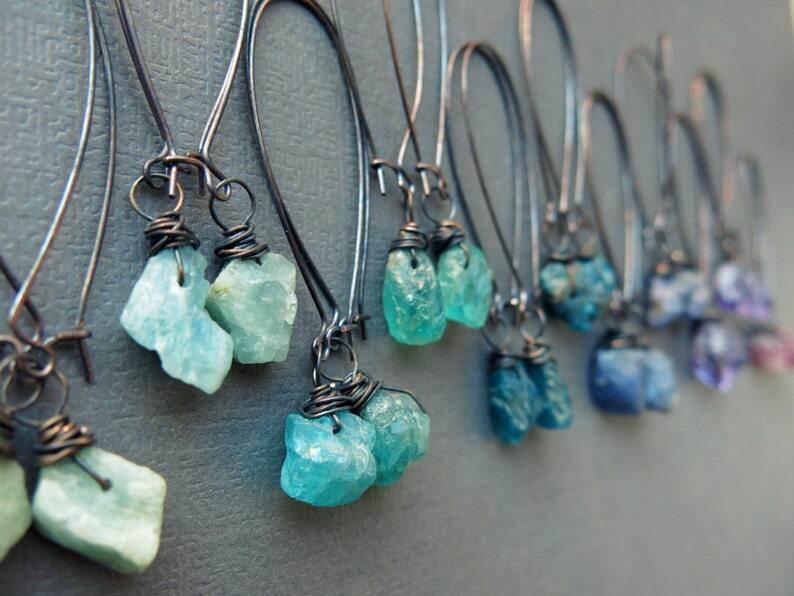 Each pair of our raw gemstone earrings is naturally one of a kind and hand made to order. Please allow 1-2 weeks for production. If you have a specific deadline, please let us know and we will do our best to accommodate you! 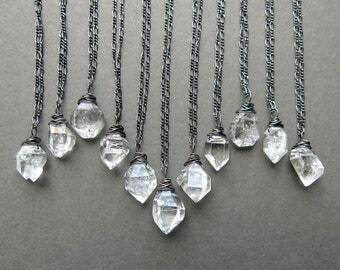 Please note, these crystals are real, raw, and 100% naturally formed. The citrine is natural amethyst which has been heat treated in a kiln to transform its color, mimicking the formation of natural citrine. All other crystals are fully natural and untreated. Each piece is innately unique and your pair may vary from the product photos, but will be just as beautiful! If you have a special request for color, size, or shape, please let us know in the notes to seller box when you check out and we will do our best to make sure you end up with the perfect set! I was excited for these earrings and I do love them, but I'm giving 3 stars because the metal after only wearing them only twice and not getting them wet has started changing colors. When I took them out, the outer coating of the metal was left behind in my earlobe. I'm disappointed in the lower quality of the metal, despite the earrings being so cute. Also, heads up to people with sensitive ears... I can't wear them for more than a few hours and usually I can go a day or two before my ears are really bothered. I wanted to post a picture of the metal changing to a bright copper color but Etsy won't let me since I'm not giving the review five stars.